Instructor Suzanne Willis shows children how to properly use a soup spoon. “Season” in Sarasota isn’t just for the social set at big fundraising events around town. 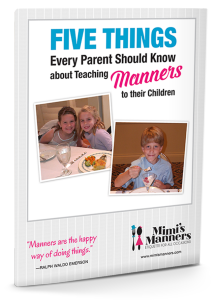 Children have their own set of birthday parties, social gatherings and family events that call for good manners. The Ritz-Carlton, Sarasota is offering a one-night class to help the young socialites improve their manners. 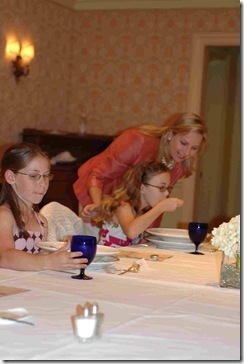 Mimi’s Manners class will be offered at The Ritz-Carlton on March 12. The two-hour class includes introductions, handshakes, and proper dining conversation all during a three-course meal. Children, ages 6 – 12, also learn about respect, consideration and how to write (or draw) a thank-you note. 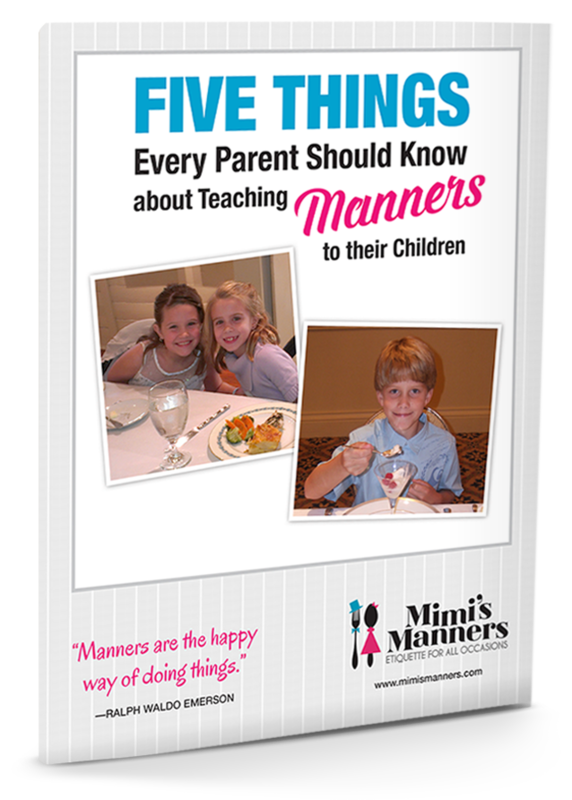 Children receive a workbook, a manners’ reminder card, and a certificate of completion. The next class will be held March 12 from 6 – 8 p.m. at The Ritz-Carlton, Sarasota. The cost is $45. For more information or to make a reservation, please call 941-309-3008. I was perusing your site and was interested in offering similar classes at nearby hotels. I am in Southern California. I’ve just started in the past year with my business and am currently working mostly with schools and community centers. I would really love to do more of the hands-on dining tutorials though. I wondered if you might share the best approach to holding a class at the finer hotels. With whom do I speak? Do I need to reserve and pay for a room or just build in the cost of the lunch or dinner along with the lesson and reserve private dining area? What is the best form of advertising – through the concierge and/or local newspaper? I would value your advice if you are willing to share it.